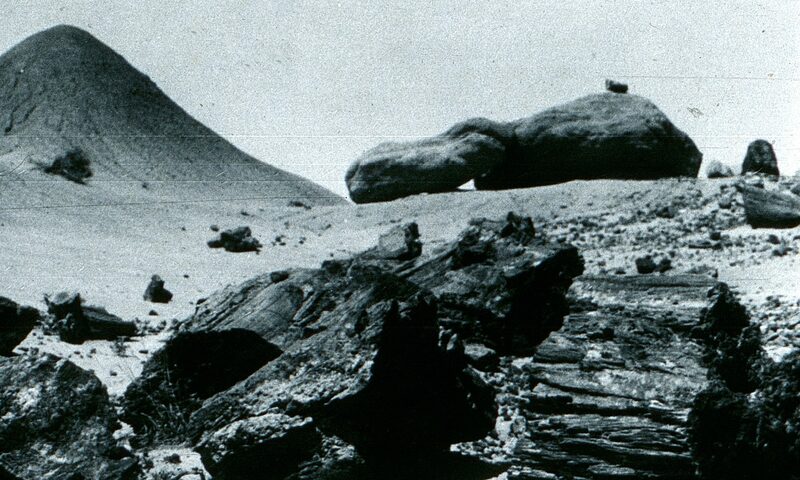 One thing that immediately struck me was that it was hyper-stereo, a trademark of an amateur or very early photographer taking the image by taking two exposures quite a bit farther apart than two human eyes. I paid less than ten bucks, ran a few more errands, and then took my new card home to investigate it further. Left-hand corners of each of the stereo singles. 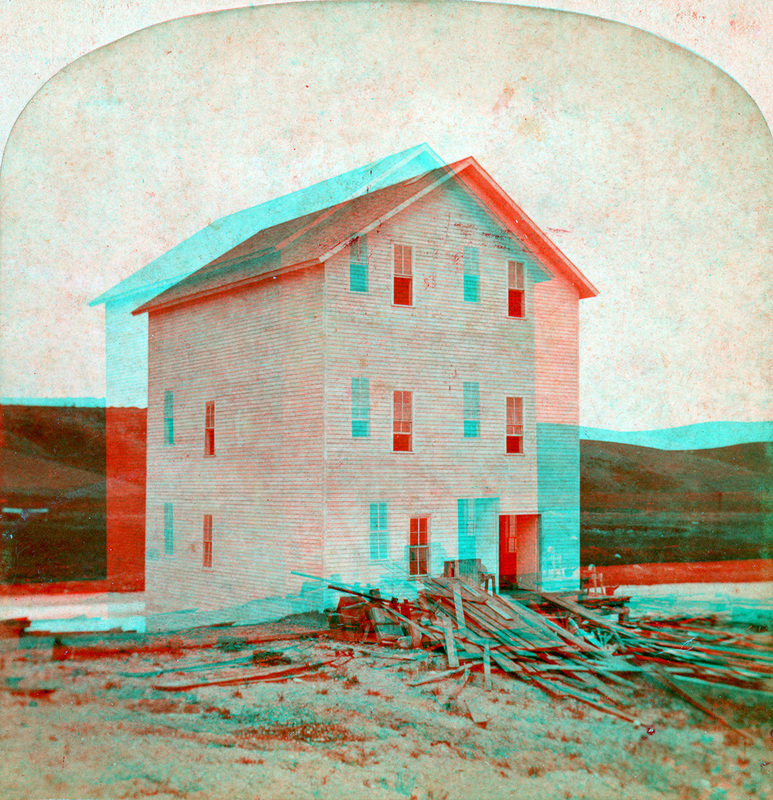 Uncorrected anaglyph of “Austin’s Mill”. Corrected and cropped anaglyph of “Austin’s Mill”. What’s apparent about this is that, hyper-stereo effect aside, the images were taken at different angles, and from different heights. This photographer was clearly an amateur, and yet had enough knowledge to create a very competent card that stood up to free-viewing. There was no tripod with a slider here, and yet given the time period, it’s almost impossible that these were taken free-hand; the process was very likely a collodion wet-plate, which at its fastest, cannot be done holding a camera. Unless this card is somehow much more recent that it appears, someone who understood the basics of photography, and had the technical acuity to get similar exposures in such a way that they’d merge significantly, somehow didn’t realize that their two exposures were taken at different heights whilst pointing in slightly different angles. Strange, eh? So what made me fall in love with the image in the first place? Hard to answer. The simple but precise composition is part of it; while the stereo is not entirely effective from a technical level, the image is beautiful in and of itself. And perhaps there’s a bit in its artistic merits that reminds me of much of my early work. It absolutely violates several major rules – center-composition for a linear object, midpoint horizon, etc – and yet it’s lovely. It works. It’s just pleasing to look at – which is why I stared at it for a while in the shop, and why I’ve enjoyed gazing at it a couple of times since.